Please write your official comment in the comment box below. 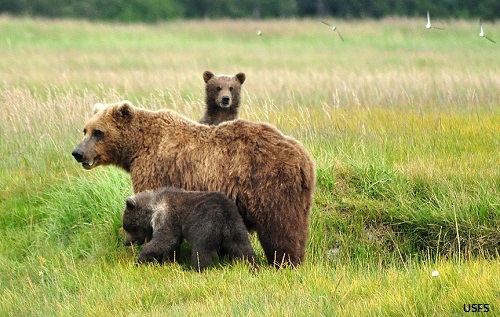 The rainforest of the southeast Alaskan coast is a stronghold of the brown bear. These bears have simple needs: a healthy forest with abundant wild salmon. • Protect the best salmon watersheds. There should be no logging in these special places and they should instead be prioritized for wildlife and wild salmon. • Rapidly end the old-growth clear cuts that damage wildlife habitat. • Strengthen protections in places set aside for wildlife habitat recovery. • Focus on programs that support sustainable industries and provide jobs for local communities. What is good for the bears is good for people too. Now is your chance to tell the Forest Service – in your own words – why you care about keeping the Tongass wild. For the bears, for the salmon, and for the folks that depend on a healthy forest to earn a living.